A number of films were released last Friday (12 April), but none were quite expected to set the box office on fire. The only Hindi film to earn is director Vivek Agnihotri’s The Tashkent Files that made Rs2.20 crore nett, as reported by Boxofficeindia.com. 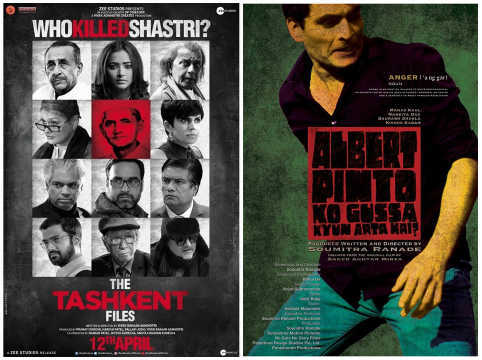 After opening rather poorly with just Rs40 lakh nett, The Tashkent Files improved to Rs80 lakh and Rs1 crore nett on Saturday and Sunday, respectively. The film was released only on 250 screens and is made at a budget of less than Rs10 crore. “I am extremely happy to inform that despite a limited release on 250 screens, The Tashkent Files' box office has grown phenomenally over the weekend. Every day the collections doubled due to a very strong word-of-mouth. This shows that people believe in #RightToTruth,” Agnihotri told Cinestaan.com. The Tashkent Files is a thriller that looks into the mysterious death of former prime minister Lal Bahadur Shastri. Among the new releases, it was Hollywood film Hellboy that got the highest collection of Rs2.75 crore nett in its opening weekend. Holdover release Kesari had a good fourth weekend, making Rs3.50 crore nett. The Dharma Productions film has so far made Rs147.67 crore nett in its domestic business. Kesari overtook Toilet: Ek Prem Katha (2017) as Akshay Kumar’s highest nett grossing Hindi film. 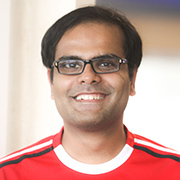 The latter was released in 2,950 screens and had made Rs132.07 crore in its India business. Kesari had a wider release, on 3,600 screens and it is made at an estimated budget of Rs100 crore. The dubbed Hindi version of Akshay's Tamil film 2.0 (2018) had made Rs185.89 crore nett.